Vehicles on display included a 1925 Chevy Superior K, a 1950 Ford Coupe and a 1966 Ford Thunderbird. Admission was free and open to the public. Attendees admired the cars, studied their interiors and mingled with vehicle owners as the music of DJ Thumpz and The Hitmen played through the street. Gorshe credited the Sunnyvale Downtown Association for helping with logistics for the event. 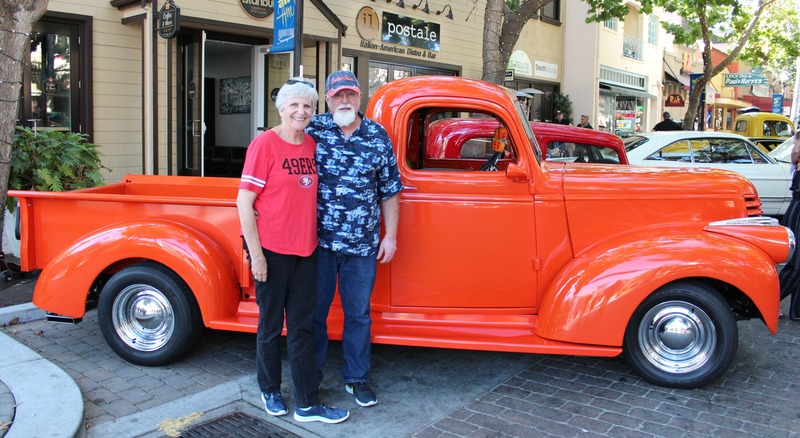 He also thanked Tim Casarez, owner of Santa Clara’s All Classics & Customs car restoration shop, for being the Sunnyvale PAL’s go-to individual for assistance with the event planning. Gorshe emphasized that both custom and classic cars were welcome in the show. Many cars at the show had signs on their windshield with warnings such as, “Please don’t touch. 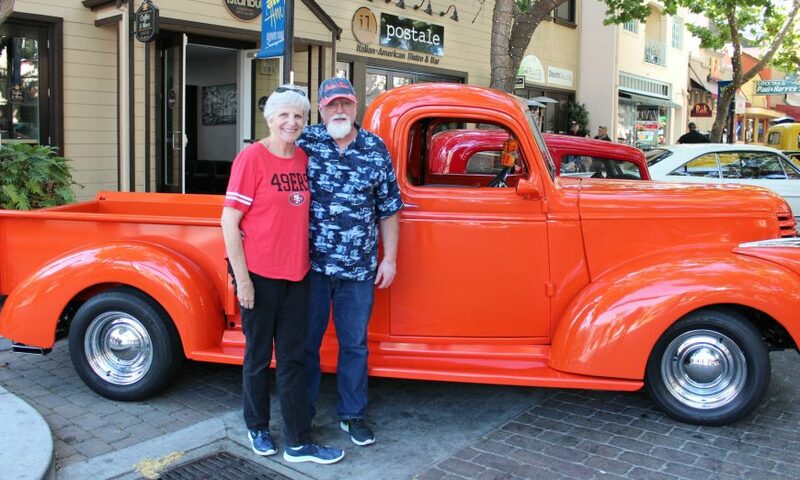 I’m not that kind of car!” Nonetheless, at least one local couple warmly invited children to sit in the front seat of their tangerine orange 1946 GMC pickup truck. 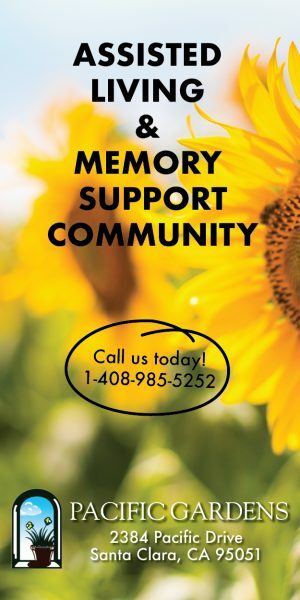 Visit www.SunnyvalePal.com for more information about the Sunnyvale PAL.